Last week lint-speed, The King of Class A Auctions, helped breakthrough the M.U.S.C.L.E. bottleneck with his Class A auction that started at $0.99. The final price was $17.50 and seems 100% appropriate for that type of figure figure. I was more interested in the number of bidders for this #93 listing. There were three bidders and together they placed nine bids. I believe this is solid evidence that the pool of Master Set fools, that we already think is pretty small, is getting smaller everyday. I wish there was some type of experiment that could be done to validate that gut-feeling. I’ll keep thinking, but if you have an idea please let me know. What auctions are we going to look at this week? 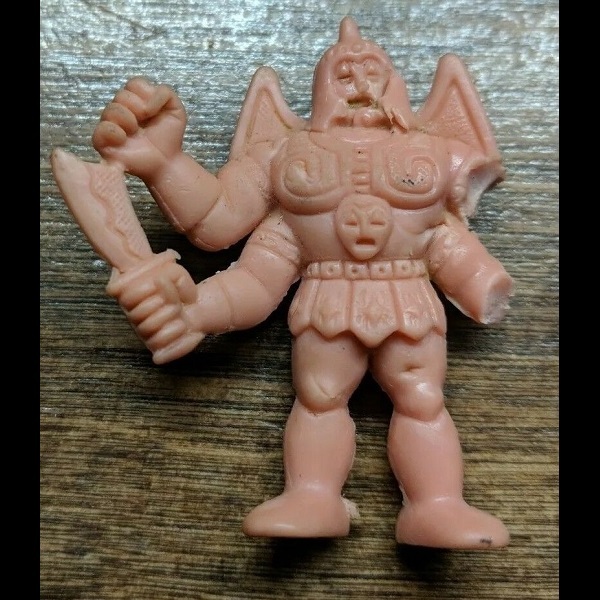 The first auction, DAMAGED Muscle Men SATAN CROSS Figure 236 M.U.S.C.L.E. Mattel Vintage 1985 Rare, is an interesting follow-up to the damaged SHA. The damaged SHA sold for $88.77. This absolutely mangled SC has a $39.95 BIN. It will not sell for $39.95. There have been mint SC figures that have sold for that price. The only way this figure will ever sell is with an opening bid of $0.99. I can’t see the final price being above $5 if it started at $0.99. This figure is not moderately damaged. This might be the most badly damaged figure we have ever seen for sale. This will probably be surprising to most readers, but I feel sorry for this seller. Looking at their other items, they need the money. They discovered this “rare” Satan Cross and saw dollar signs. Sadly they found a worthless version of a popular item. That’s kind of sad. 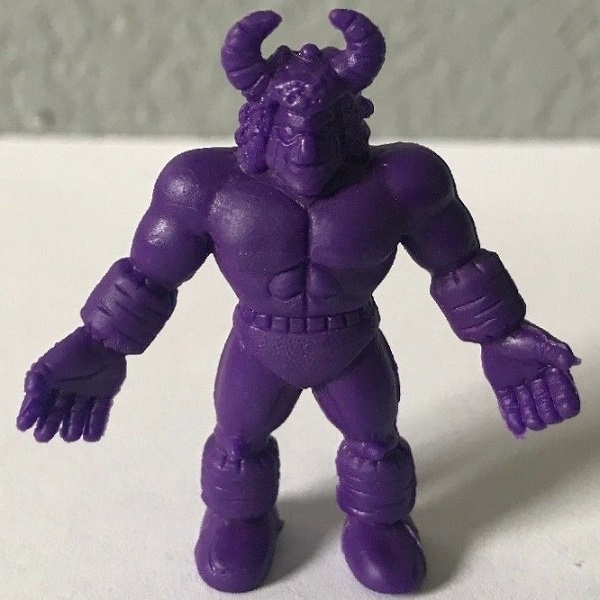 The second listing, M.U.S.C.L.E. Arena and 101 men lot. Vintage 80’s toy, has a hilariously bad $200 BIN price tag. 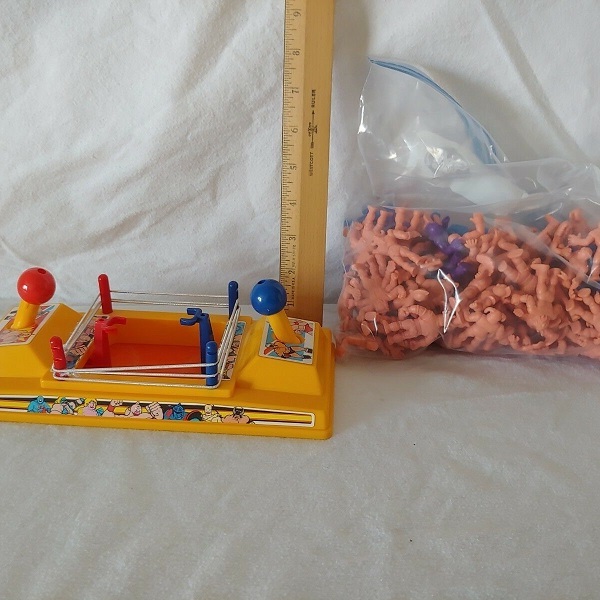 I took a look at their other listings and the M.U.S.C.L.E. lot is the most vastly outrageous. Why? Do they really think they have gold? We see lots of terrible lots like the second listing. Many more than I want to acknowledge. If these types of listings are more often becoming the norm, then what does the flip-side look like? Normally when I search for M.U.S.C.L.E. figures on eBay I am always looking at the newest listings first. To search for a low priced lot of M.U.S.C.L.E. figures I searched by lowest-price first. My results always have 50 results per page. The third auction, Vintage Lot of 9 M.U.S.C.L.E Men, was discovered as a direct response to the second listing and it took nine pages before I found it. Before that it was non-M.U.S.C.L.E. listings or single figure listings. What’s in the lowest-priced M.U.S.C.L.E. lot? There are nine figures and the #194 figure is pretty badly damaged. With the opening bid of $3 the per-figure price, at opening, is $0.33 or $0.75 when you include shipping. I believe of the three listings this week only the third will sell. I know that is not a risky statement, but I wish more sellers would acknowledge the oddity of selling M.U.S.C.L.E. items. That’s not going to happen, but we can dream. I’m going to end on a weird tangent. 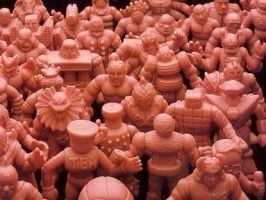 I never dream about M.U.S.C.L.E. 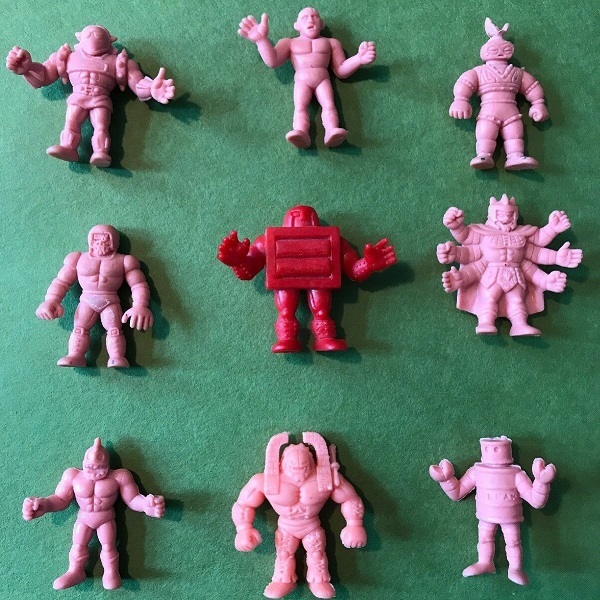 auctions, but I have had M.U.S.C.L.E. figures in my dreams. Normally I find them in a store’s old stock or buried in a box at a garage/yard sale. Whenever I do dream about M.U.S.C.L.E. figures I always, instantly, know I’m in a dream and I feel instantly disappointed. This entry was posted on Wednesday, January 30th, 2019 and is filed under Auction Watch, UofM News. You can follow any responses to this entry through RSS 2.0. You can skip to the end and leave a response. Pinging is currently not allowed.